Day five is a skincare treat – to give your skin a post-Christmas indulgence treat. 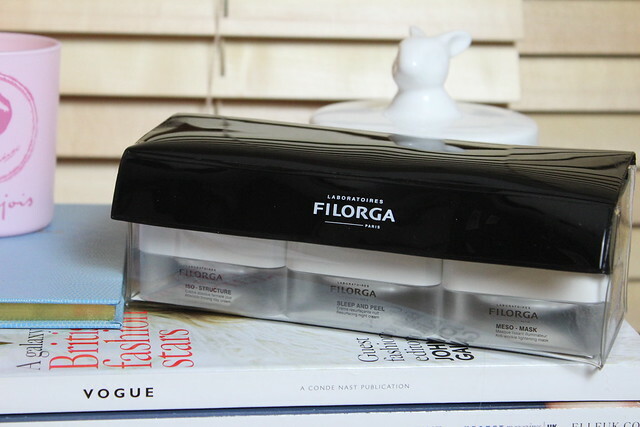 With three gems of products from Filorga skincare to give mask a detox and pamper… check out the rules below on how to enter! Good luck! another aim for this year is to be able to fit in my favourite jeans again! My resolution is to put 100% effort into my blog, and so far its really working! My beauty resolution for this year (except for the neverending “fit those jeans again” goal))) is to find my hairstyle and color, which I’ve never paid much attention to. I’m going to try not to worry about small things which do not really matter. my new years resolution is to enjoy life! I’m going to try to be tidier and not to buy so much tat. I’m @figgygee on Twitter. My resolutions are to exercise more and being more patient with people. I really want to be able to buy my own house later this year. To find a new job and to take a bit more care of myself by eatin better and more exercise. My New Year resolution is to eat healthier and gluten free! Another one is to cook more! I’m following a beauty junkie in London on bloglovin’. To have my basement converted into a reiki studio and meditation room with small adjoining office. Try more high end beauty products. Thankyou for all your lovely giveaways so far! My new year resolution is to decorate the upstairs of my house! I’m sure I’ll do it, but I gained back 10 over December (exams and Christmas whaddup) of the 32 pounds I lost last year, so I want to get back down to my goal! To give more to help others, for starters I will be doing the race for life and signing up to be a bone marrow transplant. I’d love to be more present in every moment and just soak in every experience I’m in. Positive ones. To smarten myself and my home up more. Make more effort. To try and start every day smiling. More often that not, I find that a bad outlook = a bad day and bad days are something I’d like to avoid this year! Hello, waaaaa, so many giveaway! Thank you so much for giving me this chance. Makes my skin soft, and protect them from direct UV sunlight ! I never protect and make them glow or nourish. I'm twenty, but I don't have a healty skin. So I want to be more care with my skin, more protective, more treatment. To get back into playing piano, it’s been almost 20 years since i stopped…!!!! Health is important, I only have one wish: Health to my beloved family. My new year resolution is to help the needy, to be faithful and honest to all. Resolution: To spend more on skincare and less on clothes. My new year resolution is to work out more! New Year’s Resolution- to be braver with clothes and just in general! My new year resolution is to be more happy and don’t let others ruin my day! Resolution: to take better care of my body. I am going to exercise more and lose weight! Resolution: to travel to a place I’ve never been before. This year I’ll take better care of my self! Be more tidy and precise! To work more and more is my new year resolution. To write on my blog more often. Resolution: to learn a new language! my New Years resolution is to start up a blog! I have been a follower of your blog for a long time and you have inspired me to want to start my own! Thank you for the opportunity! To go regularly to theatre and opera. My resolution is to get healthy!